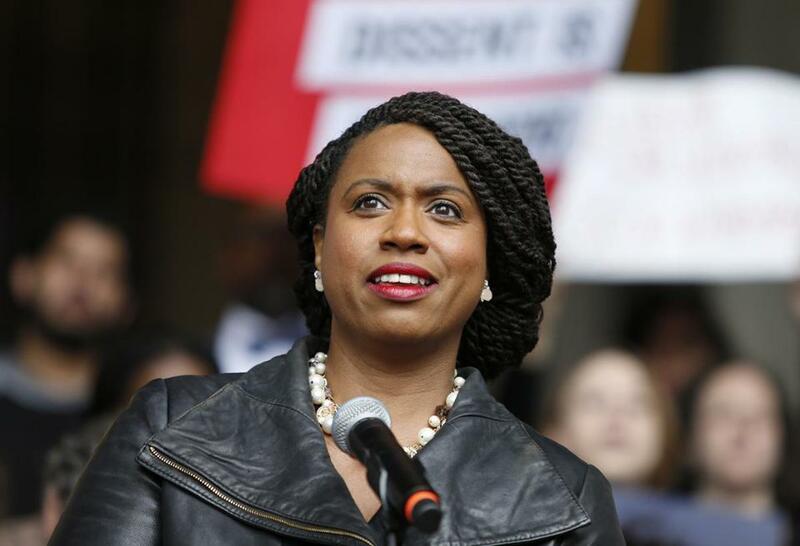 When she gets to Washington, D.C., Representative-elect Ayanna Pressley of Massachusetts will take up her work in the Capitol office that belonged to Shirley Chisholm, the pioneering representative from New York who was the first black woman elected to Congress. Pressley, the first black woman to be elected to Massachusetts’ congressional delegation, tweeted her excitement about the news on Monday after the office lottery for newly elected representatives. In the tweet she noted that fellow Democrat Katie Hill of California traded lottery numbers with her to help Pressley get Chisholm’s office. Pressley, who cruised to a win in the state’s 7th Congressional District in last month’s election and has referred to Chisholm as her “shero,” credited her late mother Sandra with giving her “extra bday luck” because Monday would have been Sandra Pressley’s 71st birthday. In addition to being the nation’s first black congresswoman, Chisholm was the first black candidate to seek a major party’s nomination for president and the first woman to seek the Democratic presidential nomination. She represented New York’s 12th District for 14 years and was posthumously awarded the Presidential Medal of Freedom by Barack Obama in 2015. Actress Viola Davis is set to produce and star as Chisholm in an upcoming movie about the late leader.